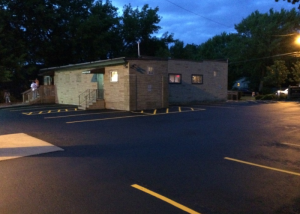 Asphalt Contractors Seal Coat Driveways & Parking Lots Better, and for Less! 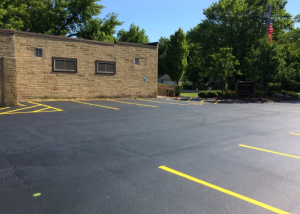 Choosing a Seal Coating Company for your commercial asphalt is an important decision – don’t waste your money or time with inexperienced, unqualified contractors. 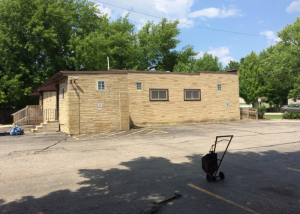 Call Armored Sealcoating in Kenosha for a free quote. We’d love to talk to you about your asphalt needs, the products we use, and all the reasons that make us the best choice for your job. Contact our Commercial Seal Coating Experts Today! 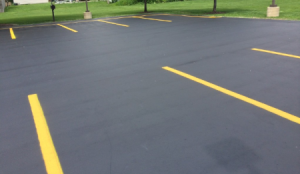 Armored Sealcoating uses the best crack filling and pavement sealant on the market – and we apply two coats on commercial parking lots and driveways to maintain the condition of your asphalt longer; making resealing necessary only every 3-5 years. Poorly sealed pavement typically cracks more and needs repaving every 1-2 years in comparison. There will clearly be a difference in your maintenance costs when you choose Armored. Quality seal coating protects against UV light, salt, water, and oil. Seal coating that is improperly applied will allow all of these elements to breach your asphalt’s base; which commonly causes cracks and pavement corrosion. If this damage is not repaired and properly seal coated, your asphalt problems could lead to repaving – a more costly asphalt service. Repairing Cracks – our professionals evaluate your pavement and fill cracks with high-grade rubberized crack-filler in preparation for seal coating. It’s important to note: not all cracks are equal and some may be too severe to properly fill; in these special cases we’ll recommend repaving if it’s the most cost-effective solution. Seal Coating – your commercial pavement suffers the perils of Wisconsin’s weather more than most; rain, salt, plowing, the freeze/thaw cycle and more affect the look, levelness, and life of your driveway. Seal coating is the best way to protect your asphalt and preserve a good condition. 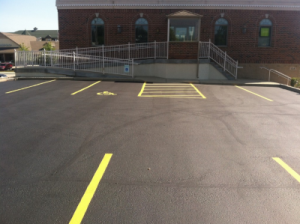 Parking Lot Striping – no commercial asphalt maintenance plan is complete without striping services. Whether we’ve just sealed your parking lot or your pavement striping needs to be freshened up, Armored Sealcoating has you covered. We’ll help you utilize your space effectively and control vehicle and foot traffic too. Maintaining Commercial Asphalt Throughout SE Wisconsin & Beyond! Contact Armored Sealcoating online for more information.